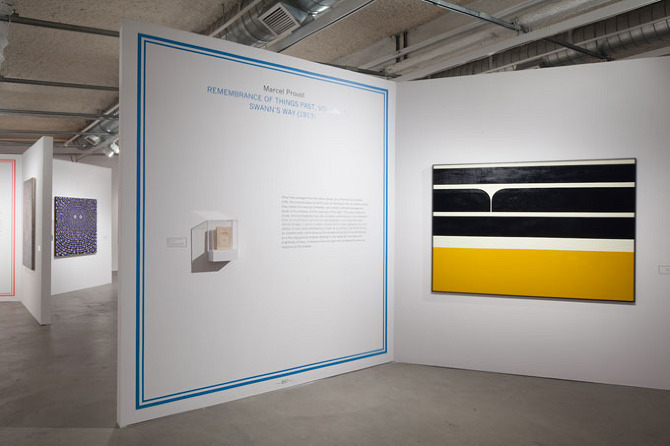 Artists include: Laylah Ali, Jordan Kantor, Wilhelm Sasnal, Maaike Schoorel, Fred Tomaselli, with texts by diverse authors as Fyodor Dostoevsky, Haruki Murakami, Sylvia Plath, Marcel Proust and Samuel Beckett, among many others. 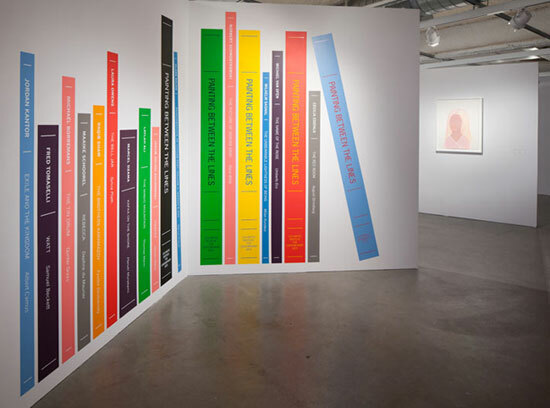 The Wattis Institute continues its investigation of the relationship between literature and art by commissioning 14 contemporary artists to create works based on descriptions of paintings in well-known novels. 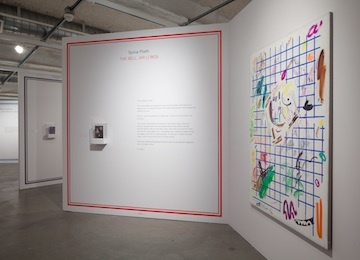 Exhibition views. 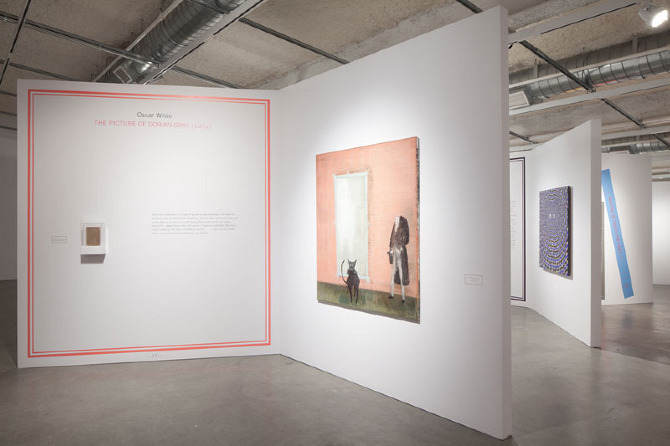 Courtesy CCA Wattis Institute for Contemporary Art, San Francisco. 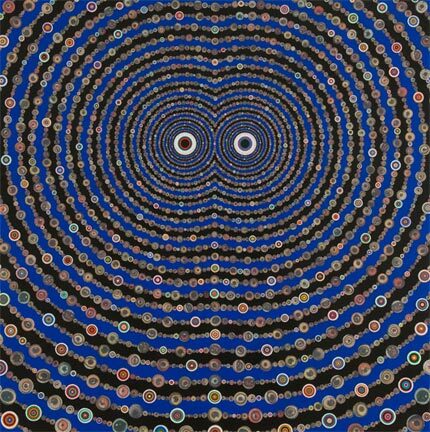 Fred Tomaselli, Watt, 2011. 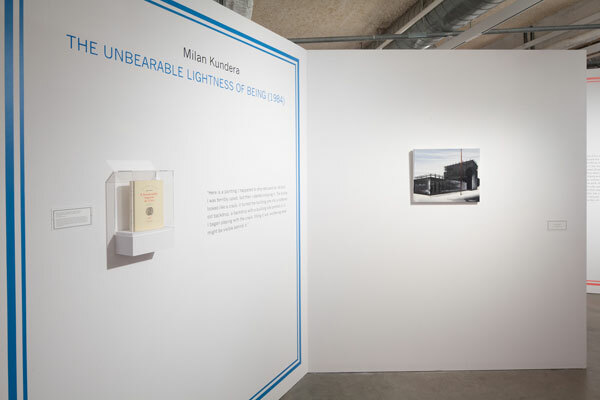 Courtesy James Cohan Gallery, New York / Shanghai. 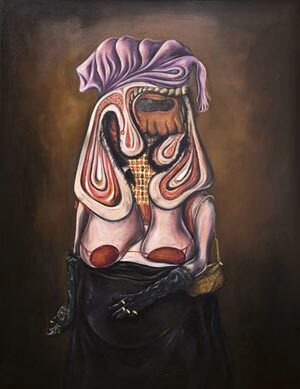 Jakub Julian Ziolkowski, Untitled (Widow), 2010. Courtesy private collection.